Roman emperor Marcus Aurelius tried to set aside​ ​his many burdens by creating what he called a “space of quiet”. The idea is to slow down enough to get a feeling for what your intuitions may be telling you. About ten years ago, I had a meeting with a professional life/career coach. I was completely stuck and didn’t know what to do. In that meeting, he gave me one of the best pieces of advice that I have ever heard. He said that I should evaluate my career path frequently as to whether I was happy, how much I was progressing and whether I still wanted to carry on. The simple but profound truth is that I have known for a long time that when my job gives me the opportunity to do more of the kinds of things that satisfy my key motivations, I’m going to be happier and more engaged in what I do. For those of you who know me well, you know I’m not a coaster. I don’t want to stay in the same job and do the same thing for the rest of my life. Heck no! I always want to push myself with more challenges and growth/learning opportunities. My passion towards​ ​ organizational improvement by using complexity management methods like Agile and Lean started in 2003, shortly after I founded my first business venture, Milimax Web Solutions, Ltd. in Providence, Rhode Island. One of our biggest clients at that time was Visible Systems, an I.T. company located in Lexington, Massachusetts. This is where I first saw and started applying XP and Scrum practices while working together with their teams. While I applied and learned about other Agile frameworks over the next five years, my interest in high impact training didn’t start until 2008 when I took a Project Management certification workshop by Jim Milliken. I was impressed by Jim’s unorthodox ability to tie the learning objectives back to business needs and the job responsibilities of the participants. Taking Jim’s workshop opened my eyes and mind to the amazing variety of training techniques and approaches. Since then, I have taught, facilitated and coached in many different settings and environments. I have worked hard on analyzing how participants vary in the ways they process and perceive information, such as doing vs. watching and thinking vs. feeling, and I have also spent time developing modules that are based on preferred modes of input: visual, auditory, reading & writing, and kinesthetic. I have used several models including Kirkpatrick’s Four-Level Training, Bloom’s taxonomy, and Sharon Bowman’s training strategies to inspect and adapt my modules and workshops. Over the years, I have gained invaluable experience by co-training various workshops with Bob Sarni, Jim York, Anu Smalley, Mike Dwyer, Heitor Roriz Filho, Petri Heiramo, Evelyn Tian, Michael de la Maza, Bob Fischer, Tim Reaves, Dimitar Bakardzhiev, Shyam Kumar, Dave Moran, Kevin Callahan, and many others. From them, I’ve learned and expended my learning about Organizational Change, Agile Coaching Competency Framework, Integral Spiral Dynamics, Integral Agile Transformation Framework, S3, System Thinking, Agile Scaling Frameworks, Complexity Management, and many other topics. I like sharing what I learn, so I have been cultivating and leading the Agile Maine community. 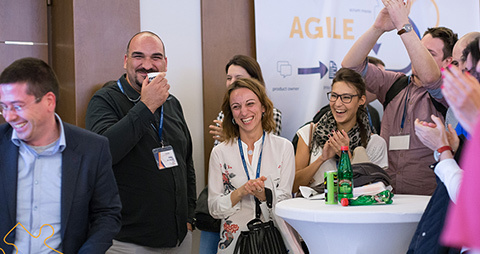 Over the last few years I have supported Agile Serbia in several different ways, including helping with their conferences and organizing A-CSM (six-week cohort-based program) workshops for their community members. In 2012, I approached the University of Southern Maine’s Professional Development Programs department about developing a 5-day Agile certification course. 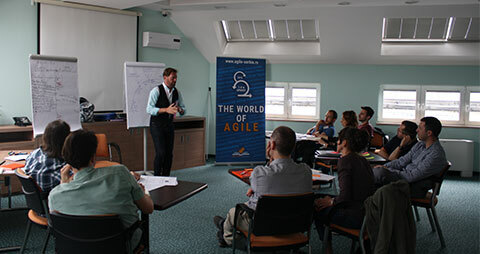 I designed and delivered the first 5-day Agile Certification course in 2013. I continue to teach this course, which includes modules/classes on: Systems Thinking, Complexity Management, Scrum Framework, Kanban Method, Product Ownership, Scaling/Descaling, Agile HR, Agile Marketing, and other topics. I have worked on continuously improving and designing new workshops that include opportunities for learners to express themselves, work together, and be active. In addition to these professional development classes, I have taught undergraduate-level classes on Agile methods at the University of Southern Maine and graduate-level Organizational Change and Project Management courses at Southern New Hampshire University. I have spent 4 years at Unum Group where I trained and coached hundreds of employees through team bootcamps and special trainings such as: Agile 101, Scrum 101, Coaching Agile Teams, Release Planning, Agile Leadership, Story Mapping, Vision and Strategy, Roadmap Planning and other Agile and continuous improvement-related workshops. Five months ago, I moved my family out to northern California and started a new chapter. It’s been a great learning experience so far and I’m happy that I made that decision. I’m working with some great organizations, learning a lot, and embracing new challenges. So, here are the three questions that I ask myself when I reflect. First question: Am I pursuing my passions? I have chosen to focus on training and coaching because I know that, in order to help organizations to evolve and transform, it’s essential to have a holistic approach which includes training, mentoring and coaching, among other disciplines. Training and coaching services are underutilized by companies across the world. This is due, in part, to a lack of awareness or understanding of the services provided by the Agile training and coaching community. 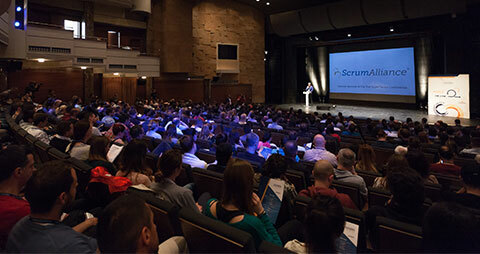 I think that support from experienced and qualified local trainers and coaches is the key to informing these companies and individuals about the benefits of using Scrum and other empirical approaches to make their organizations more fit for human beings. So, am I pursuing my passions? Heck yeah! Second question: Am I achieving my purpose? And what’s my purpose, you ask? I really enjoy training and helping others grow because it helps me remember and learn more about what I teach. I love sharing what I know and training others because it is part of a learning process—an iterative and constructive process—a process that really has no end-point. In this sense, it is the work and reward of continuous improvement. Over the last 10 years, I have trained and coached more than 2,000 people at over 50 different companies. I grow by sharing and caring for others. I have been working on a book for the past year. Recently, I hired a professional writing coach and now, I’m in the process of writing the manuscript. I’m hoping to finish the book by the end of 2019. 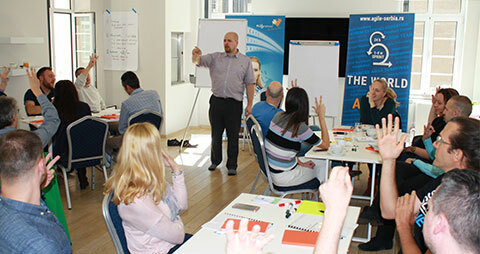 I’m in the process of becoming a certified Scrum Trainer (CST) by Scrum Alliance. As a Certified Enterprise Coach (CEC) and Path to CSP Educator, being empowered to conduct public certification workshops for CSM and CSPO will be a great privilege and allow me to serve the communities that I’m passionate about. CST certification will provide me with the personal satisfaction for achieving one of my development goals in training and validating the journey that I took to obtain this prestigious certification. If you are looking to further develop your knowledge and skills, I invite you to take the upcoming Advanced Scrum Master (A-CSM) guided mentoring program. This program is designed to help you move beyond using Agile Frameworks merely as a processes and address the most common issues that arise around organizational structures, culture, practices, and mindset. I’ll share my experiences, tools, techniques, and methods to help you deal with more challenging issues at work. And most importantly, This program offers A-CSM students fast, condensed lessons combined with the on-the-job application of key concepts for immediate effect. Our careers are such big and important parts of our lives. We need to give them substance and invest in them the same way we invest in other things that are important to us. Take the time to develop your skills and make sure that you create a “space of quiet”. In the quiet, you will hear your authentic voice for your purpose and passion. 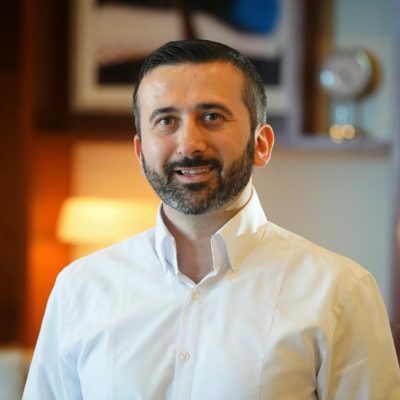 Miljan Bajić is from the USA, one of 99 Certified Enterprise Coach® in the whole world! With 15+ years of experience, and many other designations (CSM, CSPO, CSP, CTC, SAFe SPC, PMP, and PMI-ACP), Miljan supported several organizations in their Agile and Lean transformation journeys. He also teaches at University of Southern Maine and University of Southern New Hampshire, in the USA.